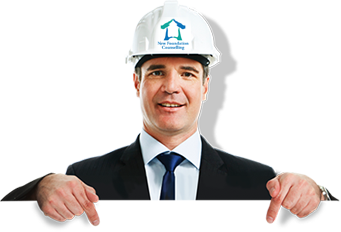 In today’s world, it’s easy to become overwhelmed by the constant need to juggle the different areas of our lives and, in a fast paced and stressful industry like construction, even the smallest of problems can appear insurmountable without the right support. Issues such as work related stress are becoming an epidemic in a fast paced world. Our counsellors are able by appointment to offer therapeutic counselling treatments. Sometimes we’re able to resolve issues using methods such as the Mates In Mind method which allows us to seek help within our own personal network but, at times, this simply isn’t enough. We list below the following resources for those who just need to be pointed in the right direction or require specific practical advice, specialist support or urgent help in a crisis. There may be times when you are overwhelmed by negative feelings or, even feeling suicidal. The following organisations offer help and non-judgmental advice by telephone 24 hours a day for anybody who feels unable to cope. The Samaritans is a national organisation which provides a free service for advice or just a friendly ear. The following organisations are able to offer sensible, free advice on all things work related – from explaining what your rights in the workplace are to offering legal advice in the event of a tribunal or dismissal. One of the biggest issues faced by construction workers in crisis is the lack of awareness of mental health issues and work related stress and lack of help on offer. Whilst some enlightened firms offer counselling and therapeutic services, many don’t, leaving employees feeling frustrated and alone. As an employer, you have certain responsibilities toward your staff – you no doubt run a tight ship and make sure that nobody ever sets foot on site without the right training, the right protective clothing and the right tools. You’ve done everything you can to ensure your employee’s physical safety but all of that may count for nothing if your staff are depressed, anxious or suffering from other stress related disorders. Break the silence and stigma through promoting cultures of positive wellbeing throughout the industry. The dynamic and innovative course, which will qualify participants as a Mental Health First Aider, provides an in-depth understanding of mental health and the factors which can contribute to a deterioration in an employee’s wellbeing for both men and women in construction. Combining knowledge with practical skills, the course will show you how to spot the signs and triggers of common mental health issues such as work related stress, encourage interpersonal skills such as non-judgmental listening and give you the confidence to step in, reassure and support a person in distress. It is vital for a company to afford mental health the same status as physical health, including the implementation of a policy which provides encouragement and a support framework for more vulnerable employees during employment, during absence due to mental health issues and also on return to work from such absences. New Foundation Counselling can provide your company with a Mental Health Policy on the signing of a 12 month subscription, helping to set the foundations in which your workforce will function to its optimum effectiveness in an environment which promotes innovation and inclusiveness. Our policy will provide information on how to monitor mental wellbeing as well as providing opportunities for individuals to be more aware of their own mental health. The policy is clear and will help managers and supervisors to deal with issues around mental health and stress in a sensitive and effective manner. Straight-forward, empowering and effective, our mental health policy will underline your commitment to the health and wellbeing of your staff. Like any other part of your business, your policies and procedures regarding employee mental health should be reviewed and updated on a regular basis. Staff sickness levels, early retirement through ill health and negative comments during exit interviews can all be indicators that the policy is not working or needs to be fine-tuned. Our Mental Health audit which is available free of charge on the signing of a 12-month subscription, the audit will gauge the effectiveness and success of your company’s mental health policy. We do this by studying the key performance factors (KPI’s) such as working hours, staff complaints, staff sickness levels and turnover and use of occupational health or counselling services. We will also conduct employee surveys to find out just how your staff feel about current policies and to highlight any concerns or issues that management should be aware of. Firms that pass our audit will be awarded a gold standard certificate of excellence for managing mental health. which will be of assistance with both staff recruitment and staff retention.